Of course seeing these animals is all well and good but it is the sea turtles we are here for and they´ve proved not to fail with appearances. 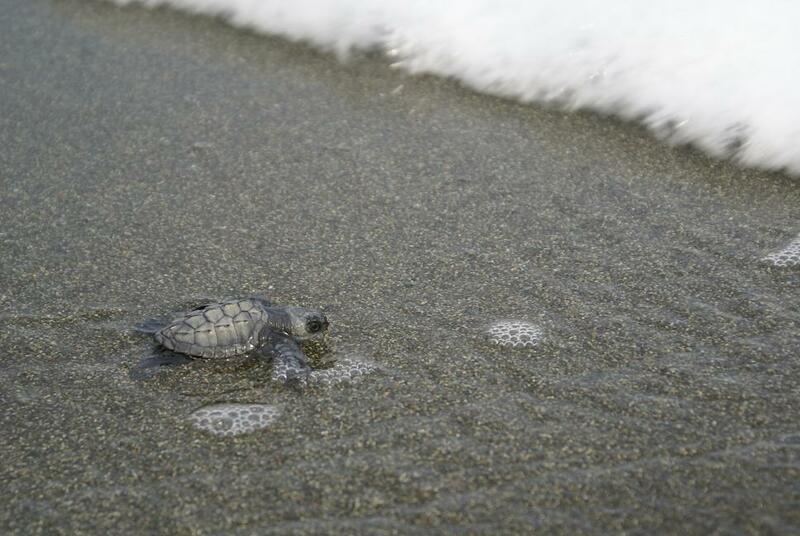 Olive Ridley are commonly sighted here with Green´s following second, but in the last month we´ve also had a handful of the critically endangered Leatherback and Hawksbill coming up onto our beaches – amazing! Due to the incubation period of some Olive Ridley nests being 45 days we are also starting to see more and more hatchlings appear too. For anyone who has been in the right place at the right time, you´ll know how incredibly cute these youngsters are! Sadly only 1 in 1000 makes it to adulthood which is why it´s so important that we use all of our best efforts to do what we can. 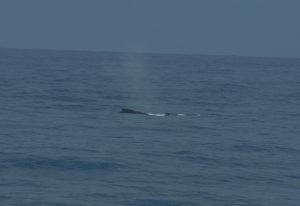 One of our protected nests just hatched yesterday morning and we caught a straggler on her way to her new home, the sea. Fingers crossed she will be one of the females returning to the beach in the future to continue the cycle. We would like to take this opportunity to say a HUGE thank you to all of the fantastic volunteers we´ve already had come and help us in our conservation efforts this year. This is a critical time in the history of sea turtles and with the help of volunteers we as humans really can save them from extinction. Please don´t standby whilst the last of these majestic creatures disappears. Come get involved and make a difference too! 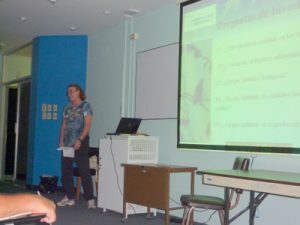 The Costa Rican Ornithological Union’s second annual conference was held July 28 – 30th 2010 in the school of biology at the University of Costa Rica in the capital of San Jose. The conference was dedicated to Daniel Janzen and his pioneering work in the field of conservation and reforestation in Costa Rica over the last several decades. Attendees present represented national and international organizations working hard at avian science and conservation throughout the country coming together to share common interests in the more than 830 resident and migrant bird species found in this tropical landscape. Friends of the Osa’s avian ecologist Karen Leavelle was in attendance to present a poster outlining the upcoming Yellow-billed Cotinga radio telemetry project slated to begin at the end of this year. 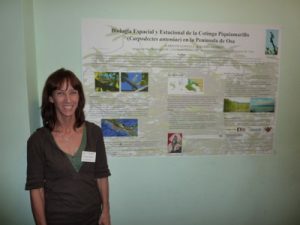 Also in attendance were Liz Jones and Abraham Gallo to present their findings from a two year study looking at the current distribution of the Yellow-billed Cotinga, Black-cheeked Ant-Tanager and the Mangrove Hummingbird all of which are endemic species considered to be endangered by BirdLife International. This project was supported by Friends of the Osa, the American Bird Conservancy and the Evergreen Foundation producing vital information highlighting the conservation status of each species and the importance of the rainforest and mangrove habitats to species survival remaining on the Osa Peninsula and surrounding areas. The Yellow-billed Cotinga project was born out of Liz and Abrahams results on the species current distribution. This project will focus on tracking Cotingas throughout the Osa Peninsula in order to determine the spatial and temporal distribution of a population of Cotingas from the Rincon area. Essentially this project will show temporal habitat use and the spatial movements of the birds between feeding, nesting and roosting areas. Information gained will indicate forested areas in need of protection for this species and others that also depend on the same habitats for their survival. Keep your eye for more information on this project as its December date approaches. The conference itself and Friends of the Osa’s participation proved to be important as a manner of disseminating information to a national and international ornithological audience on project results, upcoming studies and our role on the Osa Peninsula in avian science and conservation. By: Zia Mehrabi, University of Oxford. 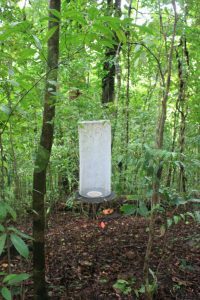 The Osa Biodiversity Center (OBC) provided a brilliant opportunity for biological research at an accessible location bordering Corcovado National Park (CNP). CNP represents the largest remaining tract of tropical lowland forest left standing on the pacific coast of Central America. The Osa Peninsula is phytogeographically unusual with high floral species diversity of an estimated 500 species of woody plants and exhibits high primate abundances as well as being home to charismatic large felids such as puma and jaguar. The work undertaken at the OBC during April 2010 primarily aimed to clarify insights into the microhabitat preferences of particular dung beetles (Coleoptera: Scarabaeidae: Scarabaeinae) identified in earlier study investigating the fidelity of ecological methods used for inventorying insect functional groups at Sirena Biological Station (CNP) during the months of July and August 2009. In order to efficiently and cost effectively map diversity it is widely recognised that the use of indicator groups is necessary. The sensitivity of Dung Beetles to light, soil type, moisture, temperature, leaf litter, structural complexity, vegetative cover, and resource type are widely recognized, advocating their utility as an indicator of the influence of abiotic environmental parameters on patterns of diversity in tropical ecosystems on a global scale. In order to map spatio-temporal distributions of biological organisms it is important to measure habitat variables on the scale at which they influence the taxa studied. If the habitat is not defined from the perspective of the organism then inference made from data reporting environmental influences on distribution of populations may be inaccurate. The material generated during the study at the OBC will be identified at the Oxford University Museum of Natural History. It is an exciting prospect that the work at OBC may back earlier work that has identified a microhabitat preference of dung beetles on trap placement, work that potentially has serious implications for sampling methodologies currently employed in comparative ecological work which aims to report the influence of deforestation and habitat degradation on tropical biodiversity. The accommodation facilities at the OBC are superb, with comfortable beds, clean running water and delicious food. Furthermore the staff are extremely friendly and helpful, facilitating communication with the local community and achievement of research objectives. In addition, accessibility from the nearby town of Puerto Jimenez and contact via satellite connection ensure ease of logistics. 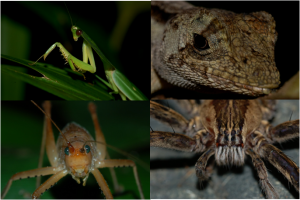 There is a nicely set out trail system that provides some great tracks for night walks where a plethora of insects , arachnids and reptiles may be easily observed and photographed. Overall I was very happy in the time I spent at the OBC and would recommend it to other researchers wishing to explore this interesting region of the world. Since mid 2006, Aída Bustamante and Ricardo Moreno, researchers of the Wildcat Conservation Program, have worked hand in hand with FOO on applied research, education and involvement with key actors (cattle ranchers, hunters, local children and youth, ecolodges, local authorities and NGOs). We recognize the need to address the livelihoods of local human populations so that they are in a better position to care about jaguars. The long-term conservation of jaguars and their ecosystem will not be possible with scientific research alone. 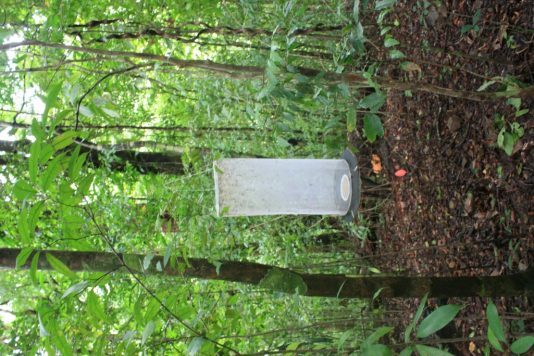 Attacks on domestic animals by large cats have triggered retaliation; and at least twelve jaguars have been killed in the last two years in the Osa peninsula. Hence, the Wildcat Conservation Program decided to sell T-shirts and raise funds to compensate people that have lost their animals by jaguar or puma attacks. So far, we are the only such compensation program in Central America and have paid for 16 animals up to now, including domestic pigs, sheep and calves. Ricardo Moreno, Dr. Ben Hirsch, Aída Bustamante and a male ocelot in Barro Colorado Island in Panama. Ricardo and Aída went to Panama to collaborate with Dr. Hirsch and Dr. Roland Kays, trying to capture ocelots and tag them with GPS radio collars to detect behavioral changes. 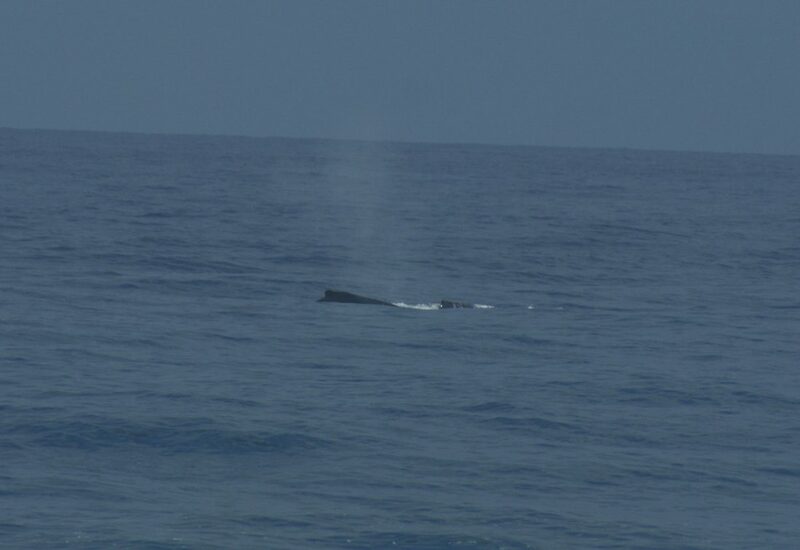 They managed to capture two females and a juvenile male, which indicates a high capture rate for the species across its range of distribution. The idea is to use this technology in the near future in the Osa Peninsula. Jaguars on the Osa Peninsula represent an important isolated population of this ecologically vital species. The long term survival of this local population is uncertain. One important way to help ensure their future would be the establishment of a protected biological corridor between Corcovado National Park on the peninsula and Piedras Blancas National Park on the mainland. Despite years of research and effort by an international group of environmental organizations, this wildlife corridor has not been established. An increase in land development for vacation homes is driving up land values in the lands within and around the Golfo Dulce Forest reserve, threatening Jaguar habitat. The total number of Jaguars on the Osa is unknown. A study on Corcovado Park published in 2007 suggested through extrapolation, a density of around 30-40 individuals in the area of the park. However, a number of factors make estimation difficult. Since availability of food limits the population, the Osa can only support so many Jaguars. This makes the loss of the twelve animals Aida mentions a major impact on the total population. Our efforts are vital because the next several years will prove crucial to the Osa Peninsula’s Jaguars. 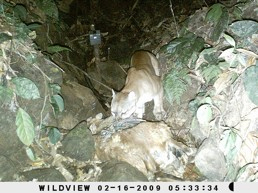 To support the Wildcat Conservation Project, please visit the FOO website and make a donation.